Sweepovac is a revolutionary kitchen vacuum that enables you to quickly sweep your floor with less hassle and mess. 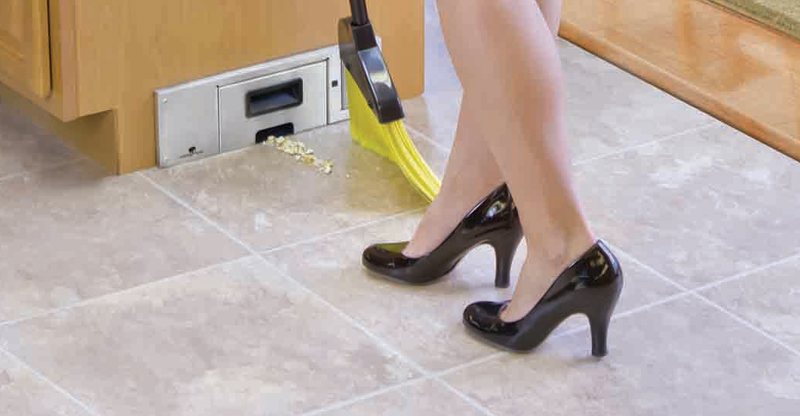 Its strong suction removes dirt in seconds, leaving your floor pristine and without that annoying line of dirt often left behind when using a dustpan. Sweepovac does not require a central vacuum system. It is easily installed in the bottom of your kitchen cabinets and its sleek design means no loss of space. For more information, please visit the Sweepovac website by clicking here. Sweepovac is available from ISC Surfaces throughout our territory except for Illinois and Eastern Missouri.